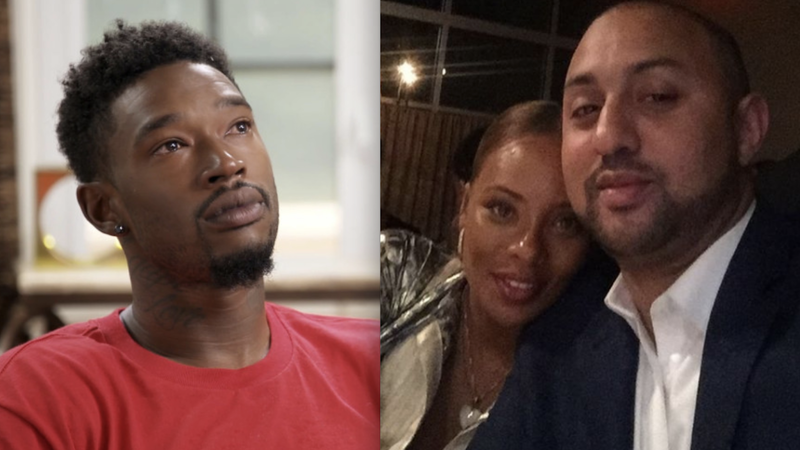 R&B singer Kevin McCall has not been allowed to see his daughter with Real Housewives of Atlanta's Eva Marcille in years [click here if you missed that]. I AGREE. WHETHER EVA LIKES KEVIN OR NOT, SHE CHOSE HIM TO FATHER HER CHILD. MICHAEL DON'T CO-SIGN SILLINESS. MARLIE LOVING YOU IS EXPECTED. BUT SHE HAS THE RIGHT TO KNOW AND LOVE KEVIN ALSO. SHE CAN HAVE BOTH!! EVA'S FEELING ARE IRRELEVANT. YOU DON'T GET TO JUST BE MAD WITH HIM AND CHOOSE A NEW DAD. 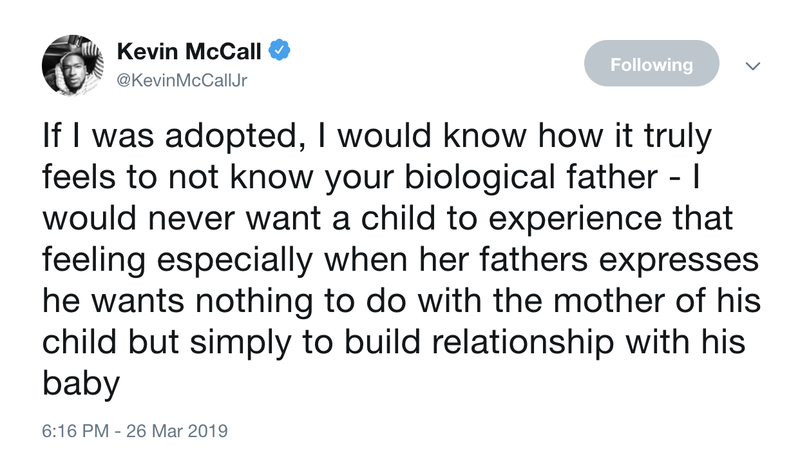 JUST BECAUSE YOU AREN'T WITH HIM, DOESN'T MEAN THAT HE CAN'T HAVE HIS RIGHTS AS A BIOLOGICAL FATHER. WOMEN STOP IT PLEASE!!! PICK BETTER! YOU LOOK SILLY! I think Eva's issue with Kevin is his unstable way of handling his anger. They could have supervised visitations but his emotions are up and down and would affect his daughter. Kevin could very well be okay with seeing his daughter but who's to say he won't act a fool upon seeing Eva or her husband? All that control would just go out the window. He isn't putting this much energy into seeing the child he has by another woman. I'm not so convinced he is emotionally stable. One thing for sure he is hurting. He needs to address that first and foremost! 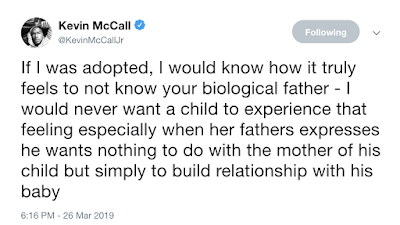 I am reminded of the men I have know who were absolutely obsessed with their children- in unhealthy ways such as this one. They were narcissists, sociopaths, and/or or borderline personality disorders without exception. Their interests were not really in the children as humans, and certainly not with ultimately having a healthy relationship with their kids, it was with possessing those people. They hated to lose, because it destabilized their fragile egos. AGAIN I am reminded of that when I see, hear, or read about Kevin McCall and Eva. Coincidence? I think not.